With it's prime location close to the Inns of Court and Fleet Street, this is a high quality development consisting of a selection of luxury serviced apartments just 100 metres from Holborn's Chancery Lane Tube station. Bespoke kitchens and bathrooms together with hardwood flooring represent City living at it's trendiest while hotel-like extras such as health club access, airport collection, weekly linen change, freeview and broadband are also available. A self check-in system is in operation, but we can also arrange to have one of our serviced apartment representatives meet you in person. Daily linen change, dry cleaning and laundry are additional extras which are chargeable, as are in-house spa and beauty treatments, welcome hampers and a fully stocked fridge on arrival. 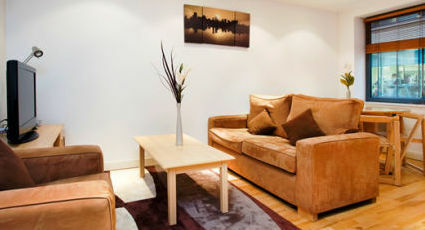 The apartments are located just 100 metres from Chancery Lane tube station (Central line).